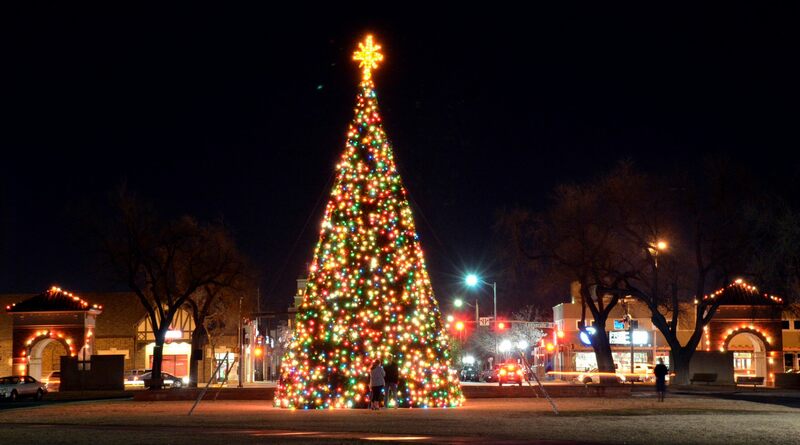 One of Lubbock’s most famous Christmas events is the National Ranching Heritage Center’s Candlelight at the Ranch. This year, the celebration is December 12-13. This annual holiday event offers a special glimpse into the past as visitors experience yuletide celebrations that took place on the open prairie more than 100 years ago. Luminarias light the paths around the center’s historic structures, where Ranch Host volunteers recreate holiday scenes of trimming trees with homemade decorations, playing traditional music and gathering around the campfire on a cold winter’s night. Guests can warm up with a cup of hot cider and fresh kettle corn as they tour through the historic site. There is no admission charge for this annual event, but donations are encouraged. If you love the movie, then you’ll love this unique experience for families. Complete with pajamas, storytime and even a visit from Santa himself, this event is a holiday favorite for everyone in West Texas. Check out our recent blog about the ride, which is running now through December 27. Ticket prices vary, so be sure to check out the website. Beginning December 10 and running through December 23, Santa Land in Mackenzie Park is joyful occasion for all ages.This 57-year tradition typically hosts between 38,000 and 41,000 people each year as they visit the festive holiday village with its huge lighted Christmas tree, animated displays, bonfires, traditional holiday scenes and of course, Santa and Mrs. Claus. Each evening at 6 p.m. during this 14-night event, a sleigh with tiny reindeer bring Santa and Mrs. Claus to Santa Land to hear the Christmas wishes of area children. Put the family in the car, pour some hot chocolate into a thermos, turn on the Christmas music and make the short drive east to Ransom Canyon, Texas. This is Christmas light viewing at its finest. Known for their eclectic and beautiful architecture, the homes in Ransom Canyon will leave you in awe during your tour. Who knows, you might even see Santa and his eight reindeer fly through the starry-canyon sky. Gather your family and friends for the unforgettable Cactus Family Christmas! This year, the concert will be held December 13, 19, 20 and 23. For the past 18 years, the Cactus has performed it’s “Cactus Family Christmas Celebration” featuring some of the greatest singers ever to hit the Cactus stage. This year theater wants to share their favorite memories with songs featured from the last 18 shows in Cactus history. With old and new faces, you will experience the “meaning” of Christmas in this show. With holiday treats provided by Slaton Bakery, hot apple cider to warm your heart and beautiful Christmas decor filling every corner, you will be blessed this holiday season by the Cactus family.